It wasn’t too long ago when Jamie Foxx was rumored for Marvel’s dormant Blade franchise, but late last week, we learned that the Oscar-winner had come into contention for Spawn, the long-gestating reboot coming to us by way of Todd McFarlane. Negotiations are ongoing, mind you, but this is still an exciting step forward for a project that has been described as a “dark” and “nasty” second coming for one Albert Francis “Al” Simmons. 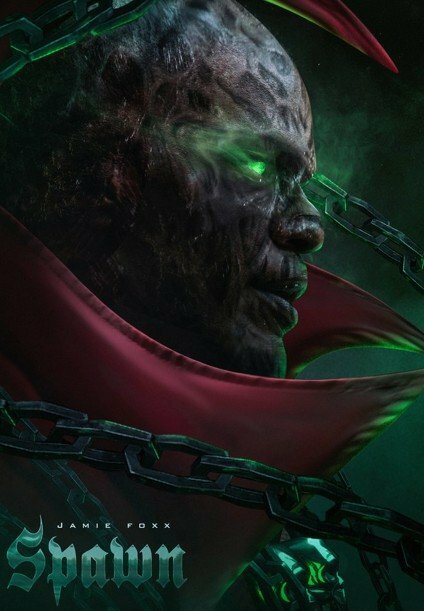 That’s the role that Foxx supposedly has his eye on, and while we await further intel from Blumhouse, renown concept artist BossLogic has gone ahead and produced a hellish new piece that imagines Jamie Foxx in the title role. The undead Albert Simmons has been waiting an awful long time for his return to the big time, though considering how Todd McFarlane recently teased the possibility of a launch in early 2019 – or, failing that, next Halloween, which is perhaps the most fitting time of year to drop a movie about a brooding half-demon – fans won’t have to wait too much longer before Blumhouse’s “low-budget horror movie” takes flight. 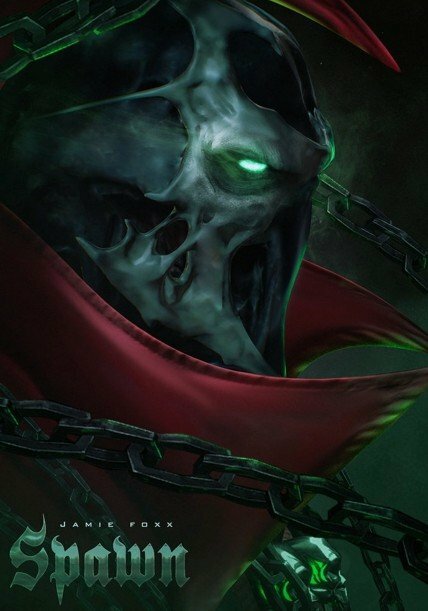 Closer to home, and now that Spawn is beginning to send the feelers out to locate its core cast, production is expected to commence in New York City over the coming weeks, which tells us that a 2019 release certainly isn’t out of the question – regardless of whether or not the film features Jamie Foxx’s name on the masthead.